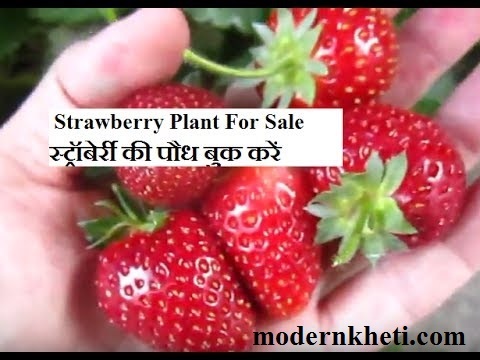 पपीते की हाइब्रिड किस्म को कैसे उगाएं ? 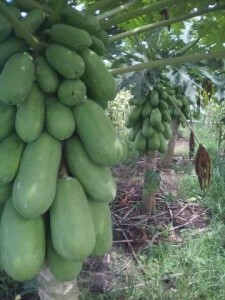 Papaya can give you 150 kg to 200 kg fruit in its life cycle .the life of a tree is 4 to 5 years. Fruit weight is from 700 grams to 2 k per piece . first picking will start from 7 month of planting in the field . Sow the seeds in a big holed tray that filled with soil, sand and compost (1:1:1 ),it takes about 8 -12 days to germinate . After the seeds have been germinated take them from a big holed tray and put into a poly bag that filled with compost , soil and sand . 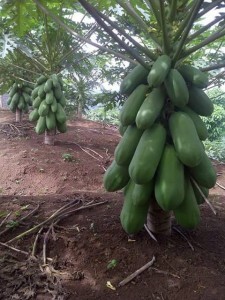 Land Preparing :- The land/nursery has to be ready at least one month before you plant the little papaya on nursery/ land . 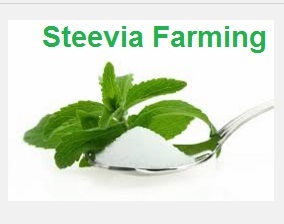 E. 4 months old fertilizers same as above +NPK given on 4 holes and each 4 spoon so for the next month added 1 spoon of fertilizers and if any you can give them compos or manure one time in a month but be careful in giving of feces of goat , cow and another animal feces, give it in nine inches in the edge of its leaves. 3. 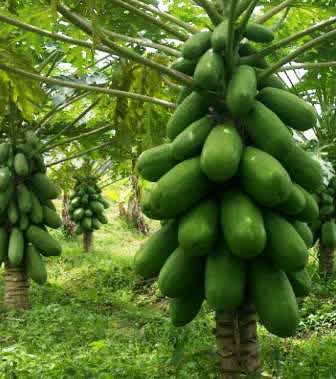 Treatment, as an human they need good treatments, such as fertilizing , loosing of soil, treatment from pest.